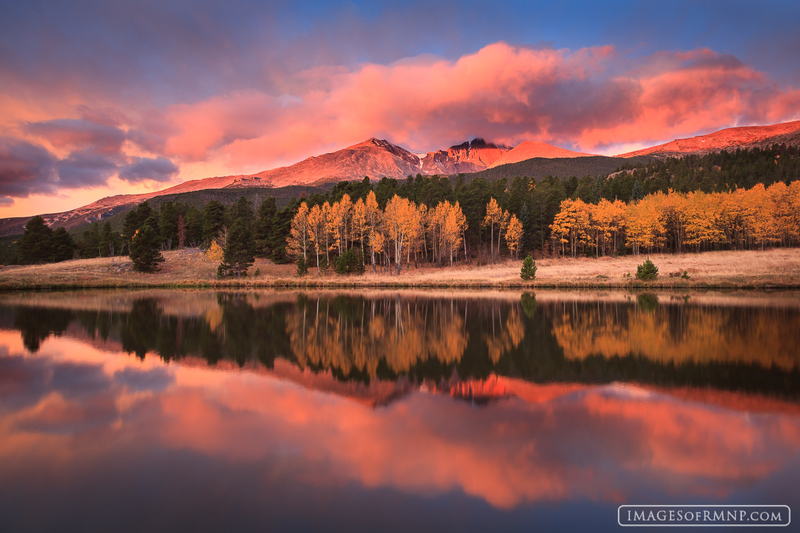 On a perfect autumn morning the warm light of the rising sun bathes Mount Meeker and Longs Peak in its gentle pink hues as they reflect on the surface of a tranquil pond. For many years I've been coming to this same spot each autumn but have never found the dramatic beauty I was seeking. This morning all the elements finally came together to create a beautiful and dramatic scene. Photo © copyright by Erik Stensland.